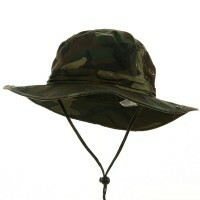 Outdoor hats are crucial in protecting yourself from the sun. 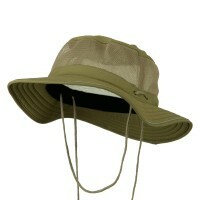 With our flap caps, fishing hats, safari hats and UV sun hats, you are able to put both form and function together. If you are a fan of Western style, we have great cowboy hats here. Beat the heat in Outdoor & Western Hats. 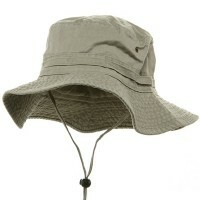 With a high crown and wide brim, these hats were made to keep the user cool and shaded from the harsh rays of the sun. Outdoor Hats also come in a special style—fans of Western fashion will enjoy cowboy hats. These hats can be used to impress others with stylish yet flashy hats or just to admire how amazingly cool Flap, Neck Cover Hats are. The Old West doesn’t need to stay in the past, but can be felt today through the clothing that we wear. These hats are perfect as gifts or to buy for yourself. Western Hat enthusiasts can easily agree that owning one of these hats will be a great buy. Their impressive appearance allows them to be worn be virtually anyone alongside virtually anything, while remaining as a centerpiece to any outfit. The rodeo doesn’t have to stay at the rodeo any longer thanks to Western Hats. With an outdoor hat, you can pick from a hunting hat, Western hat, Cowboy hat, Safari hat, or even a gambler hat. These hats need not serve a purpose you can go ahead and use any of these outdoor hats that tickles your fancy to ramp up your attractiveness! A Western hat is best known for its wide brimmed and high crowned hat. Often the wearer modifies the sides of the brim to curl up—to protect against weather elements—but has lately been used as a fashion statement. If you want to look like the real and authentic cowboy of the wild, wild west, then pick one from our Cowboy and Outback Hats category! Looking to up your macho points? 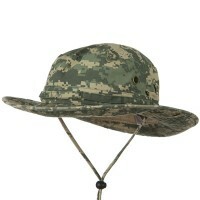 Why not try e4Hats.com’s selection of Safari and Gambler Hats? You can also dress up to look the part or either a gambler or a tourist on a safari to boot. Wait, maybe hunting hats? You don’t need to be a hunter to wear a hunting hat for sure. What’s great about all these selections of hats on your fingertips is that they are not only useful pieces of clothing they can also be used to enhance your looks. They are even the perfect go-to piece of accessory for those masquerade events that you are fond of.